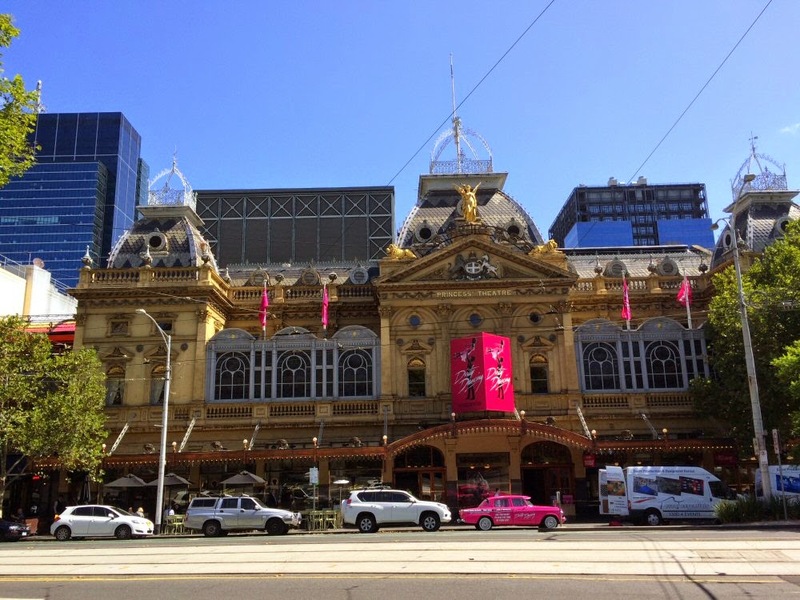 "" Writer's Wanderings: World Cruise - Hello Melbourne! The Tasman Sea has a reputation for nastiness but had been kind to us crossing from the southern tip of New Zealand to Sydney. It wasn’t about to hold back forever though. We awoke to rolling seas which got worse as the day progressed. You know it’s going to be bad when the deck crew goes through and ties everything down that’s movable. By the time all was said and done, we were said to have survived 20 foot swells and winds that had reached hurricane force on the deck. I think the Captain would have received a standing ovation if we all hadn’t been so worn out trying to keep meals down, stay in bed all night, and keep feet steady in the morning. During our breakfast in Deck 5’s dining room, several times a huge wave washed over the windows. What a wake-up call! 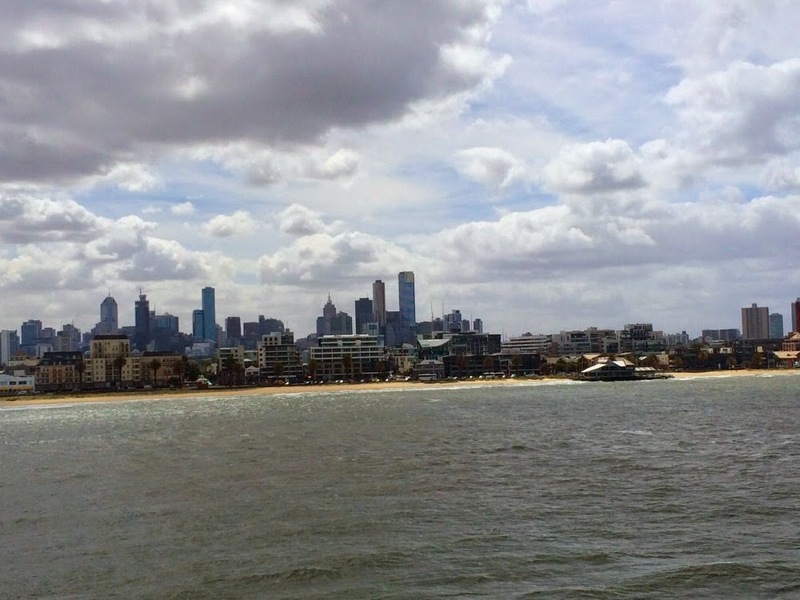 Melbourne sits on the inside of a huge bay so our sail in was quite pleasant as the morning progressed. We had picked up the pilot (the required local guide for navigation into a harbor) outside the bay though still in those huge swells. The ship had to turn away from the wind to allow for a “calmer” side where the pilot could jump aboard from the boat that brought him out. We picked a spot up in the forward Palm Court with all around windows that allow for quite a view when the ship is not dipping up and down in the ocean. We watched the city get larger as we got closer and enjoyed the relaxing flow of steady waters while we contemplated our plans. The map provided by the excursion desk showed the ship docked quite a ways from the center of the city. There would be no free shuttle into town. Instead we could purchase a transportation pass that would allow us a day of travel on the trams and buses. There was also the hop on hop off bus we wanted to take one day (we were scheduled for an overnight stay). We sighed and decided to just relax and see what was available when we arrived. At the cruise terminal, we found that we could buy a hop on hop off pass for 24 hours—not enough time for this first day so we opted for the tram pass. As we stood in line to get the passes @$14 each, a man from the Oosterdam docked across from us handed me his pass and said “Just top it off. I don’t need it. We’re leaving.” By the time I got the words “Thank you” out of my mouth, he was gone. So we saved $6. Moral of the story: Pay it forward for someone else. We did the next day by handing our passes to our waiter for him and a friend to use. Once into the city, we decided to find the free City Center Tram. That was a mistake. It makes a nice circle in the center of the city and a few years ago was very pleasant experience but now it was used by everyone and people crowded on making it difficult to see out the windows let alone hear the commentary. It would have been smarter to have just used our tram pass and explored. The tram was less crowded. We finally gave up and got off the Tram to walk a bit. St. Peter’s church and St. Patrick’s Cathedral were at the stop we chose. St. Peter’s gave us a few minutes of quiet from all the hustle and bustle of the afternoon. A brass plate on the outside told us that the proclamation from Queen Victoria that made Melbourne a city was read in this church on February 13, 1848. A short walk across the street to St. Patrick’s and we found a side entrance open. Thankfully we were being very quiet because as we stepped to the back and looked forward we could see there was a funeral taking place. We exited quietly. 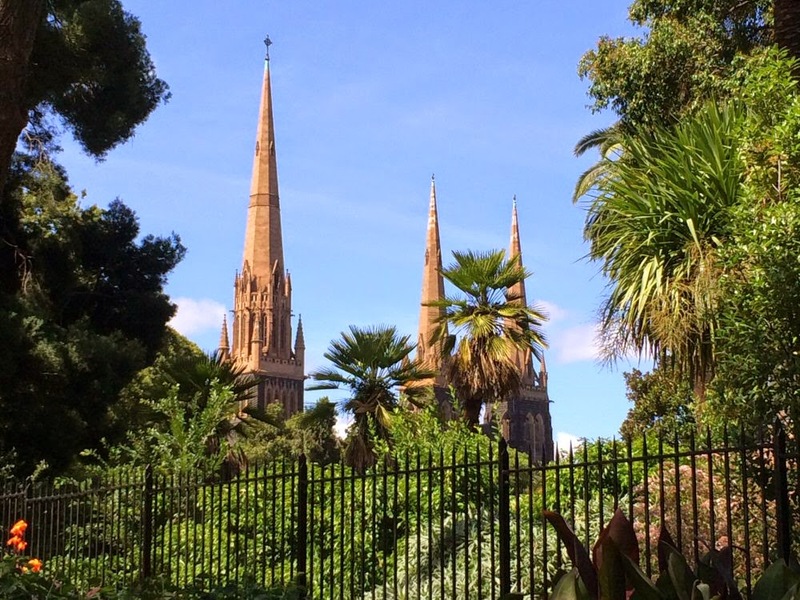 A block away from St. Patrick’s is Fitzroy Gardens. Just the place for a quiet walk. While I am enjoying the cruise, I have a hard time being around a bunch of people all the time and except for retreating to our stateroom there are just a couple of places outside of our stateroom at certain times of the day where it’s quiet and peopleless. The walk was delightful. Cool breeze, warm sun, green trees. 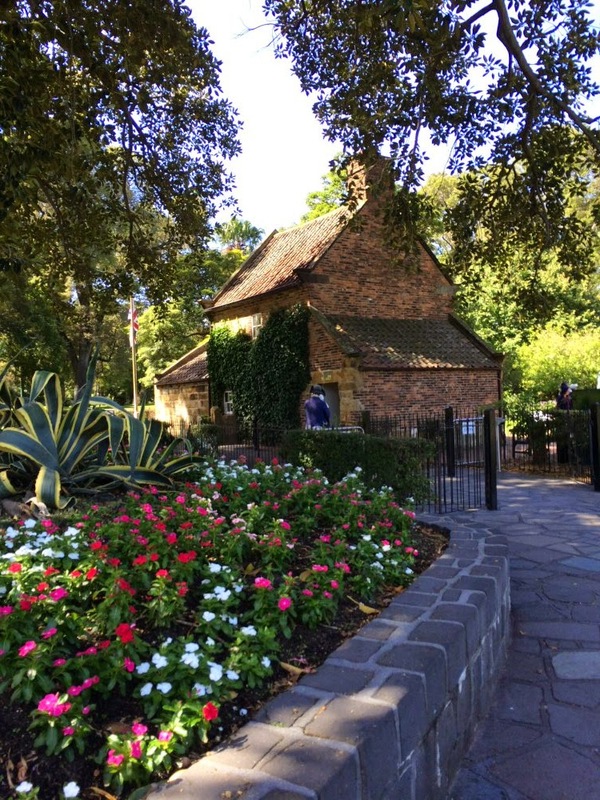 Our destination lecturer had mentioned a place in this park where Captain Cook’s small home had been assembled after being purchased and shipped from London. We sought it out and found it in a delightful garden setting with costumed guides outside. We enjoyed it from the outside rather than going in. 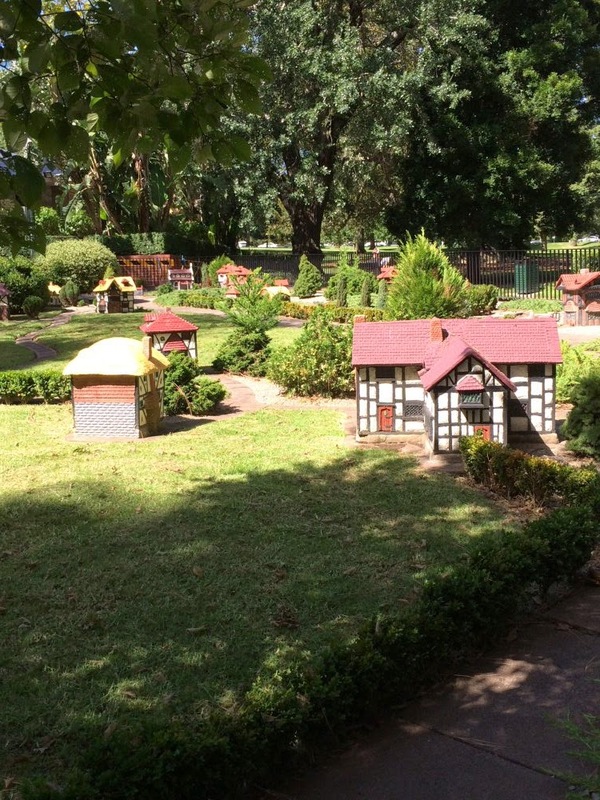 Further on in the park we found a mini Tudor village that had been donated to Melbourne after they had helped another city when disaster struck. Moral of the story: People help people in need. Well, enough moralizing we went on back to the ship and talked for a time with the girl at the hop on hop off table selling tickets. She had lots of questions about the world cruise and was enamored with the whole thing. We bought our tickets and boarded the ship. Destination for the late afternoon: Laundry room.